I paint my heart, so being present with my art and a real-live-someone-else at the same time often feels a little too real and raw, a little too exposed. So, I set up my tent in the morning for last weekend’s holiday market at Sincerely Danielle Shunk (SDS) with a great deal of anxiety. Then, amidst strangers, family and friends arrived, and dread leaked away in warmth of conversation. I love to think outside the box. So I rummaged up fragments of old houses I’ve lived in to construct my space. 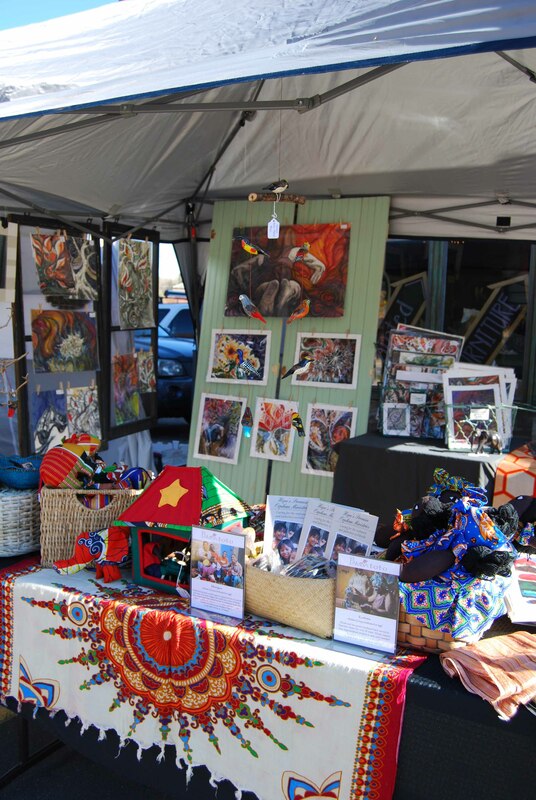 I hung and leaned old wooden screens, cabinet doors, and beaded board panels from my tent frame to create displays for art and Pamba Toto products. The people I talked to through the day were tender and kind. One stranger walked purposefully from across the parking lot and commented, “Your art is very emotional. I could see that from far away.” His encouragement touched me deeply. I am always astounded when someone connects enough with an expression of this crazy little heart to want to take it home and keep it near. 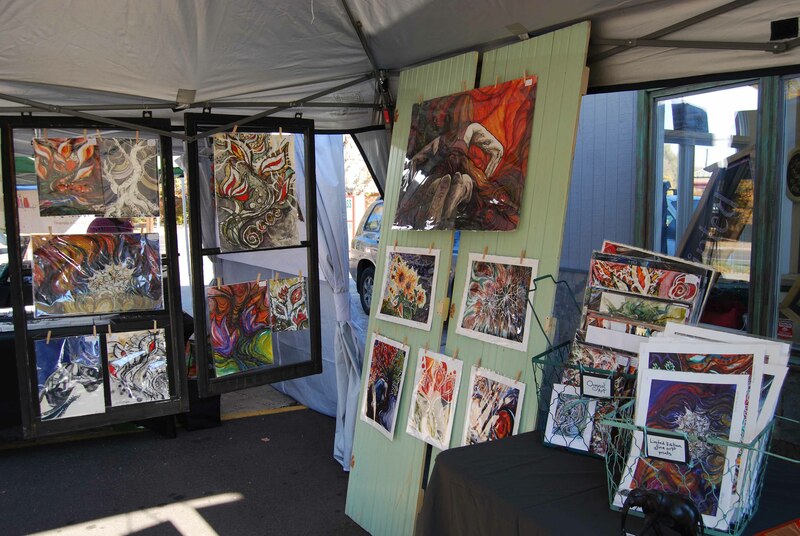 Another artist at the market and I commented on our mutual feelings of attachment to our work, how sometimes we have to let a couple years go by before we can part with a piece. Some of my paintings wandered off to new homes; and although I felt sad to see them go, their new owners’ hearts, whether stranger or well-known, are now connected to mine. I am richer for it. I make art to connect with deeper realities: with the unseen in the spiritual realm and heart to heart with other people. The most beautiful reward of the day far outweighed my initial trepidation: the thrill of one soul touching another. The market is over, but prints of my work and both framed and unframed originals are now included in the fanciful ong-going inventory of Sincerely Danielle Shunk in Colorado Springs.